McLaren is built on racing and providing our growing family of customers with unique and exhilarating driving experiences. It, therefore, makes sense for us to unveil a dedicated, widened motorsport programme designed to support and enable more of our customers to focus on enjoying the thrill of pushing our cars on the track. The 720S GT3 will provide a stunning race-going addition to our Super Series product family and drivers will now be able to hone their skills under expert guidance backed-up by our technicians at the circuit and our motorsport retailers away from it. The MonoCage II carbon fiber structure at the heart of the 720S road car provides the foundation for a mid-engined, rear-wheel-drive car set to appeal to professional and budding drivers alike. 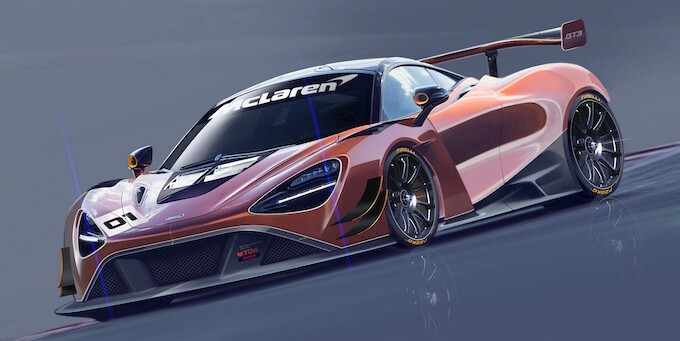 A race-prepared version of McLaren’s 4.0-litre, twin-turbocharged V8 M840T engine will provide the power source, through a six-speed, sequential shift motorsport transmission. The aerodynamically-optimised bodywork of the 720S GT3 will be formed from both composite and lightweight carbon fiber, with a bespoke aerodynamic package. The suspension will comprise tried and tested adjustable dampers and coil-over springs, front and rear. 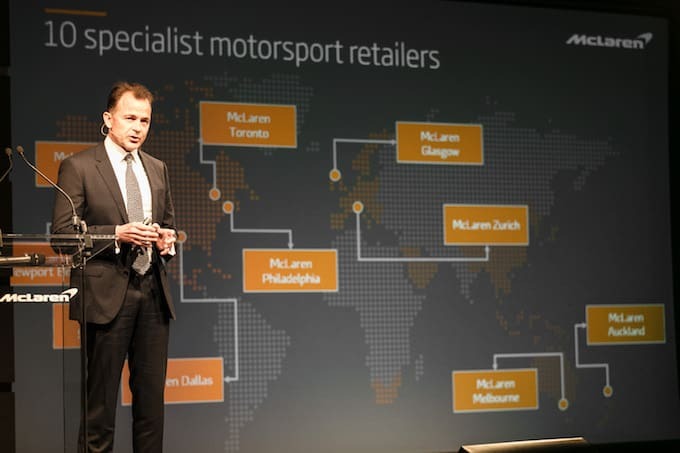 Motorsport retailers represent an important milestone for McLaren Automotive – strengthening a core part of the business and bringing the world of road and track models even closer together. Motorsport has been, and will continue to be, a core value to the McLaren brand which truly was born on the track, and this runs through the DNA of each and every product that we hand assemble. Open exclusively to individual McLaren owners with the minimum of an International D grade license, they will be able to take advantage of a full ‘arrive and drive’ package with all cars maintained and run by McLaren engineers and technicians, freeing owners up to concentrate on their driving. More details, including venues and dates for the new Pure McLaren-GT series, will be announced in due course. The McLaren Automotive Driver Development Programme has been established to help gifted young drivers realise their motorsport ambitions: if they have the talent, regardless of their background, we want to be there to guide them and foster their racing skills. 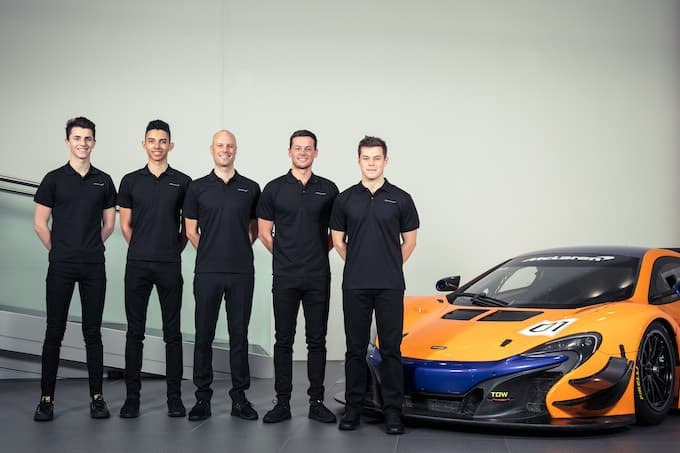 These drivers will be our future in endurance racing and in the four we have selected this year, we believe that with McLaren’s support all of them are potential GT championship winners. I am also delighted that Rob Bell joins the team as a Factory Driver for the 2018 season, as his knowledge and experience will be of enormous benefit to the Driver Development Programme. More than this, he will ensure that the 720S GT3 car builds on the success of our previous models in this class and is capable of competing against – and beating – the best that the GT world has to offer. — McLaren Automotive CEO, Mike Flewitt.